Did you know that K-DEER is a true conscious brand? They give back by donating a percentage of the proceeds to several charities. The fabric is eco-friendly and dyes with minimal wastage, which helps the quailty of the water. 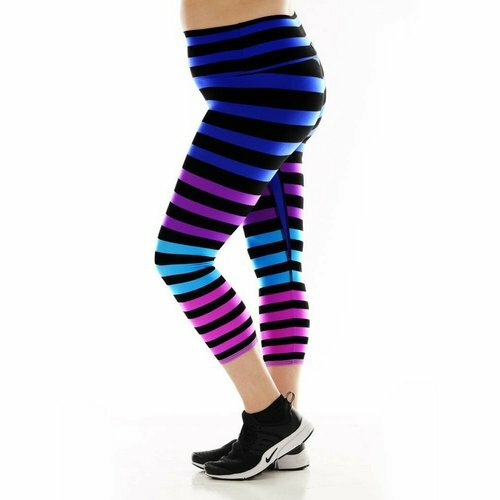 And these leggings are produced with love in good work conditions in the U.S.A.
You too could make a difference, by choosing one of these super flattering designer yoga leggings! Yoga is for everybody. And that is where K-DEER stands for. Kristine Deer has succeeded in creating beautiful yoga clothing that looks amazing in all sizes. Most K-DEER leggings are even availble from size XS up to 4XL. This designer yoga clothing is form fitted, never cuts in anywhere and gives you all the freedom of motion you like for your yoga practice. The fabric is thin, flexible, flattering with just the right amount of compression at the same time; it feels like a second skin. Because the K-DEER leggings are high-waisted (and the tank tops hit at the low hip), K-DEER is also very popular with women with plus size. If we don't have your favorite design on stock in your size, please e-mail us via service@yogahabits.nl. We would love to order it for you! The designer who founded K-DEER is Kristine Deer. Her first design were the Bum Bum shorts, which were created to her own need for an elastic free, raw edged hot yoga shorts that covered just what needed to be covered and kept me distraction free for all 90 minutes. 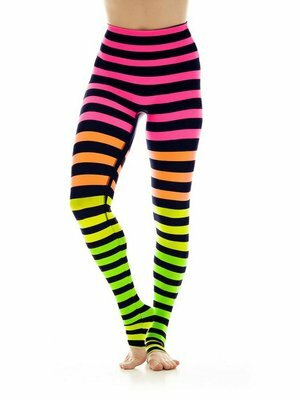 Even more well-known are the Stripe leggings also designed by her, who incorporate everything you could look for in a yoga legging. In the meantime she is also certified to teach in the Barkan hot yoga method. "I feel so grateful that the thing that made me love and respect myself, became what helped other women do the same." ~ Kristine Deer. 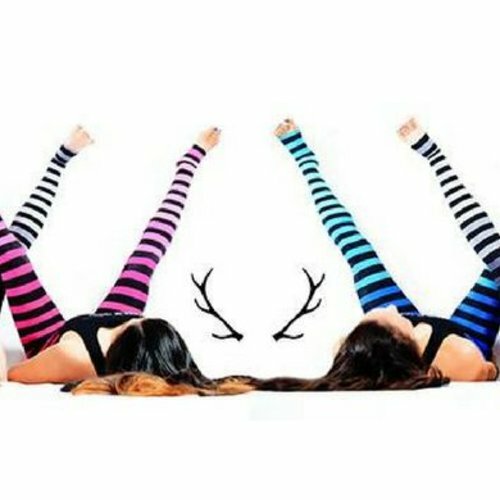 What is your favorite design by K-DEER yoga clothing?